1. Preheat oven to 425 C. Take pizza out of the package and cook for 13 minutes. 2. 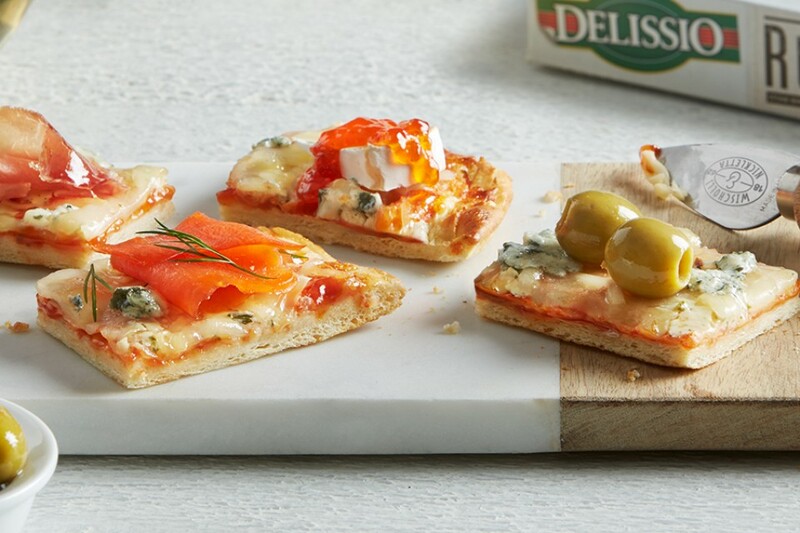 Using a pizza wheel, cut the pizza into square cracker-sized pieces. Don’t just take our suggestions. Try topping these Quattro Formaggi pieces with whatever your imagination can dream up: figs, eggplant, dressed arugula, shrimp – get creative!